face when you reward them, is immeasurable. in the form of Money, but time. need help in that basic form of communication. Karen’s blog article continued on in the vein of different the many different forms that volunteerism can take. Fine. Dandy. I love the concept of volunteerism as social-service – really great! I’ve given a lot of my personal time to a community food reclamation project out in Las Vegas called “Project Angel Faces [small plug here] one lady herding a bunch of angels with Facebook and Twitter to feed people in her area with food that would otherwise fall to the ground and rot. I’m also a very minor editor on Wikipedia. I also have a rare blood type and donate regularly. This got the Meme Merchants to thinking about the nature of charity, volunteerism, and giving. We went back and watched the video, to find out what was really going on with it. What I saw there more or less what Atani had suspected, motivated as much by a desire for the vicarious thrill of the capturing the moment of receipt as anything else. Not to condemn these acts of giving, they were as acts fine in their own way, well enough intended, and to all appearances were really going to do some good in the world. However, I was rather bothered by the YouTube video’s basic attitude about what they were trying to accomplish. The two presenters attitude was pretty well summed up in their opening statement, “We’re just going around tipping servers $200 and seeing what happens.” This is giving of one sort, what it is not, and apparently doesn’t even attempt to be, is charity. Giving as an expensive form of reality entertainment. $200 a thrill. I’m not sure if I like that very much. I was reminded by all of this of a story I heard many years ago about a Jewish sage who would walk through the streets and drop coins over his shoulder and let them roll down his hood to be picked up by what ever person might need them. This story was supposed to demonstrate one of the higher levels of giving in Jewish culture. With that thought in mind I started interrogating the usual sources. “Tzedakah” is the Hebrew word for the acts that we call “charity” in English: giving aid, assistance and money to the poor and needy or to other worthy causes. However, the nature of tzedakah is very different from the idea of charity. The word “charity” suggests benevolence and generosity, a magnanimous act by the wealthy and powerful for the benefit of the poor and needy. Kind of wrong in my opinion. To set the record straight, the word “charity” comes through the Old French from the Latin: caritas, from carus meaning ‘dear.’ and originally used in the the Anglo-Saxon in the sense of the Christian love ‘agape’ of one’s fellows. Not to get into an argument on the subject, but the Christian concept of charity is actually very similar to the Jewish, it’s where Christiains got the concept from in the first place after all. In my opinion the real confusion sets in, and this is an understandable mistake for a Jewish person to make, maybe, about goyish culture, because of how much of Christian religion, theology, and culture has been affected or contaminated by the often rather slope-browed-retro-troglodyte and archaic pagan cultures that adopted Christianity, but were not yet up to the task as societies of really living up to their own rather high ideals. Unfortunate. The type of patronistic benevolence and giving, as JewFAQ point out, that of the warrior prince, that characterizes most pre-modern, pre-open order societies, where there is always some type of quid pro quo tied to the gift, is fairly precisely not Christian as it is not Jewish. This zero-sum, honor-shame manifestation of giving is characteristic of prime divider societies who are still in the “closed order” or so called “natural state”. More on this later. That seems to jive closely with what I remember being told, by the person who recounted the parable of the sage’s hood. Still, I wanted to at least check the Wikipedia article to see if there were any references for that information. Not bad, but it seems a little awkwardly put, at least I know now where to start looking. I found a version of the story at Orthodox Union’s page on Judaism’s Social Vision, which at least as a non-Jew, I found very informative, and also contained a reference to to the source of the parable I had been told years before: Maimonides. Much, much better. 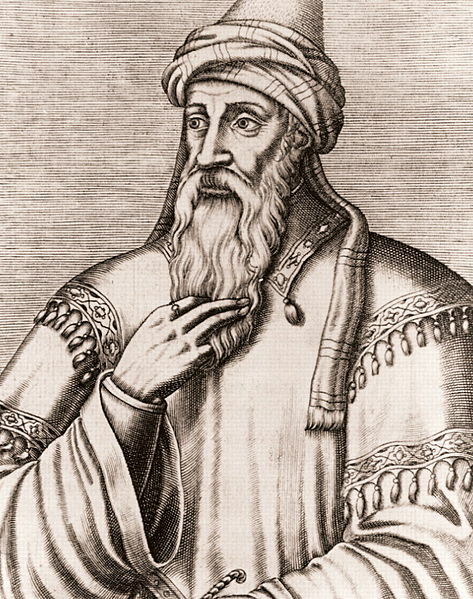 If one is to take Maimonides as one’s example, it is clear that charitable giving is that type of charity that places the needs of the needy first, discounts steeply the rewards to the giver by take strict measures to separate the ego of the charitable from the act of charity as much as is possible. The needs of the needy are best met when preserved from the need for charity, and the charitable are best preserved by separating their egoic-selves from the act of giving. Very advanced concept – hard to do. I guess that leaves our boys at LAHWF and us all some room for improvement. This entry was posted in Ethics, The Internet, Uncategorized and tagged charity, ethics, giving, Maimonides, reciprocity, tzedakah, volunteerism by visinthewise. Bookmark the permalink. My sincere apologies. I never meant to offend anyone. I am a newbie to the Technical side of things, and obviously I added a plug in or something. I also hired someone to put that together for me, but I will take full responsibility for it. I will remove right now. I painted Orphanage classrooms in Phuket Thailand. My colleagues and I were learning about GIVING of our time with nothing expected back. With that, when or if I endorse or promote something it is to be helpful. Helping someone else find the way to feel empowered and fulfilled within the community of our world. We give back, unconditionally. In money or time or both. Well done, doing the real work. That’s really great. Then you will really have understood this essay, which has to do with sorting the difference between ‘giving’ in the broader sense and charity in the narrower sense. BTW: you can find Project AngelFaces on FaceBook if you look. Rhonda K. is the lady you want to talk to. Not to worry. No one here was offended by anything you wrote. If you are referring to the little pop-up message box on your blog, that was curious but not offensive. That was the only reason I dug behind your other menus, to see what was there. Still didn’t keep me from enjoying your blog. You seem like a real person It was the other guy with the, ‘I earned $10k in one month and quit college,” that I was really wondering about. But even then, you can’t tell without more information. The people who manage to make it through here seem to come from very different spaces and places. What comes attached to their Gravatar might not not necessarily reflect the persona they are bringing here. Please feel welcome to come back any time.